Disclosure: I received A Friend In Me: How to Be a Safe Haven for Other Women by Pamela Havey Lau complimentary from Litfuse. Provided I give an honest review. Hello there Loverlies! Has anyone ever had a mentor growing up, or even a mentor now? I have never fully felt I have ever had a mentor. You know, woman (or man if you are male) that is older than you, whom you feel you can call anytime for anything? Someone who has been through life struggles that are similar or the same of what you are going through at the moment. I have always truly wanted that christian woman in my life as a friend/mentor. There are a lot of things I have questions about with life/bible/etc, and it would be nice to talk with someone who has experience. What I am explaining is the subject of the recent book I have read called A Friend In Me by Pamela Havey Lau. It is a great book for anyone to read. She talks about how we should all have an older friend who can be our mentor to helps us through certain struggles in life. Yes, we have God who helps us, but he also want's us to come together and help each other. Life can be extremely hard without friends. 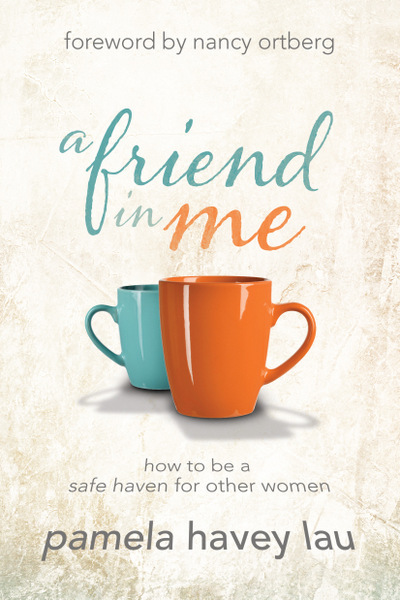 Lau wonderfully explains in her book about how we should also be friends/mentors for people younger then our own age. She describes how we should go about talking and listening to them in those certain areas they are having issues with. Which is great to learn about! I hope to be able to have that christian mentor I can talk to about anything soon. Because I would love to learn from them, so I can soon help someone who is younger then me with whatever they are dealing with. A lot of times we all go through similar issues, so why not help each other out? I believe that this is a start at making the world better. Giving people encouragement, wisdom, and prayers, will help us all. If this sounds like something y'all are interested in reading, then hurry up and purchase it! There is wonderful information in it. You can find a copy to purchase HERE on Amazon! Have a Blessed Day! You can also check out the author's website HERE. About The Author: Pam Lau is the author of Soul Strength and numerous articles for such publications as Christian Scholar’s Review and Christianity Today. She has taught writing at George Fox University and speaks around the country at conferences and retreats. A graduate of Liberty University and Colorado State University, Lau lives near Portland, Oregon, with her husband and three daughters.